Roman blinds give a lovely, neat finish to a window. 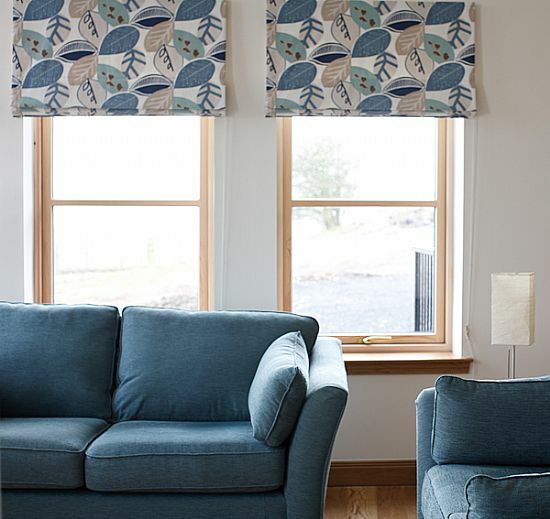 Pulling up in horizontal folds, a roman blind uses a minimal amount of material, highlighting the fabric. New child safety regulations came into affect in February 2014 to prevent choking hazards. All my roman blinds comply with these new standards. Roller blinds can be ordered using the manufacturers fabric or your own - subject to suitability.